During a recent trip to The Aronoff, I took a peek around the latest exhibit at the adjoining Weston Art Gallery. Known for having eclectic, contemporary exhibits, the current installation pushes the creative boundaries. 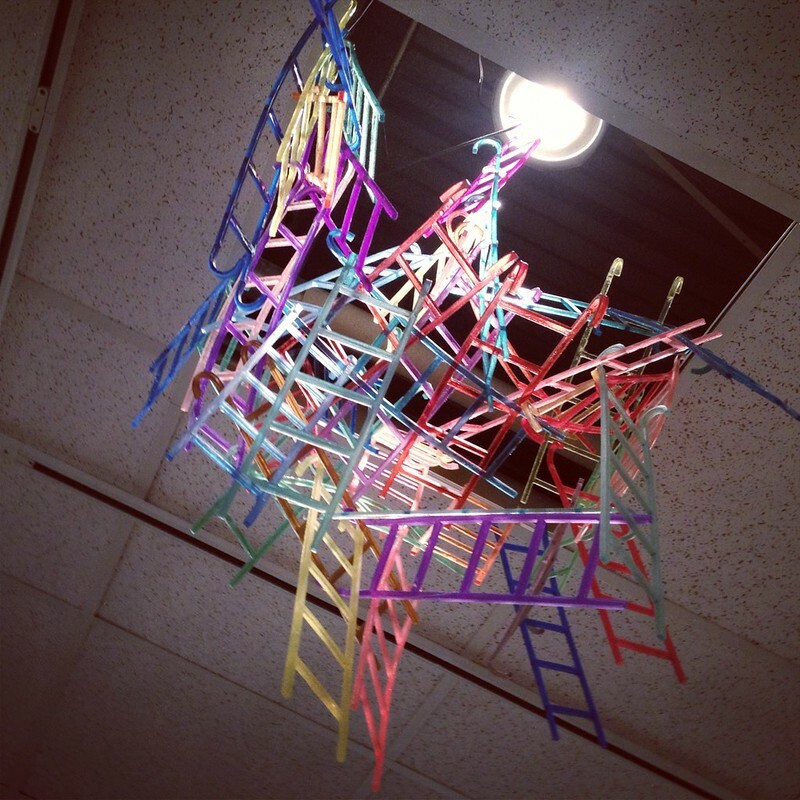 Ladders extending from a crawlspace. 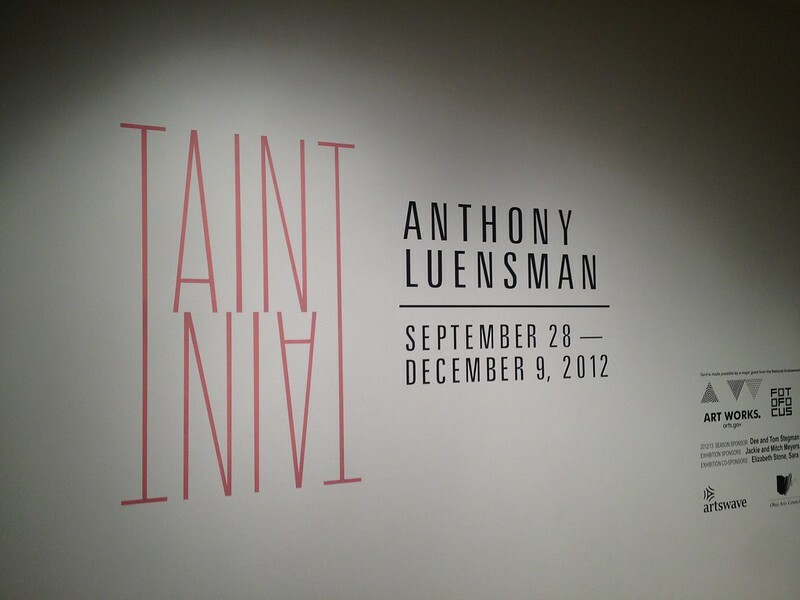 "Taint," an exhibition by Anthony Luensman, features trick-of-the-eye photography around the human body. 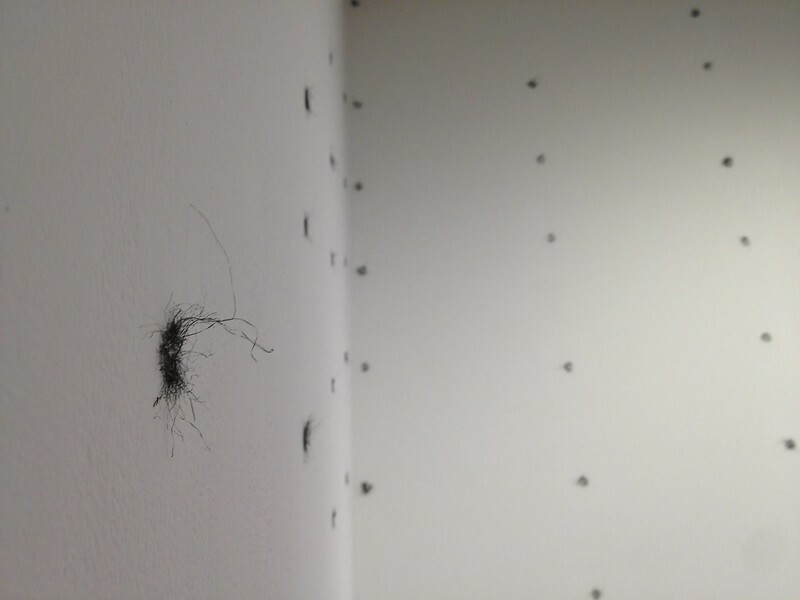 As sexual as its name suggests, visitors can see the "Stud Finder" installment, which looks like pubic hair made from scouring pad fibers, a camera lens installed on a swing's seat, or the carnal sounds of eggs being stomped upon with bare feet. 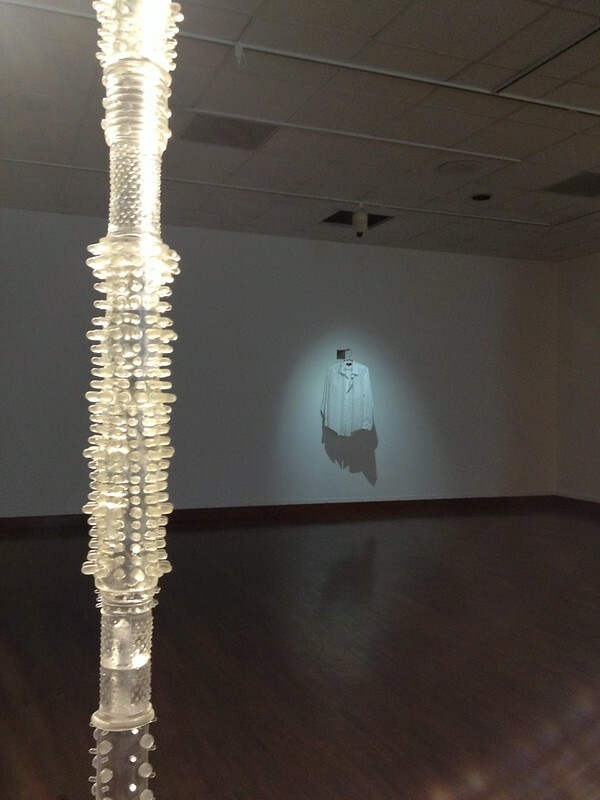 A pole made out of glass "extenders." You can guess what they attach to. The interactive exhibit will leave visitors raising an eyebrow, yet still curiously pondering for more. Luensman also designed artwork for Lousiville's 21C Hotel. If you're a fan of its style, make a stop by "Taint," which is free to the public through December 9. 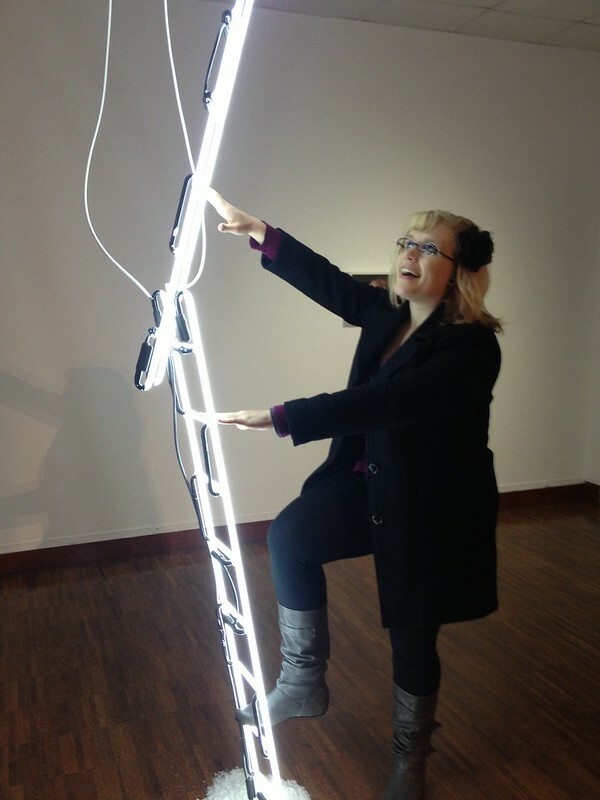 Ascending "Neon Ladder." One of the more tame installments in the exhibit.